April is the month to celebrate your pets! And I'm sure by now you all know that my life pretty much revolves around Sheldon and Aurora. So with the help of the lovely people over at Ocean Loans I was able to spoil my two fluffy babies to celebrate National Pet Month. As I'm sure you can guess there was a great load of excitement, from me and the fluffy babies. 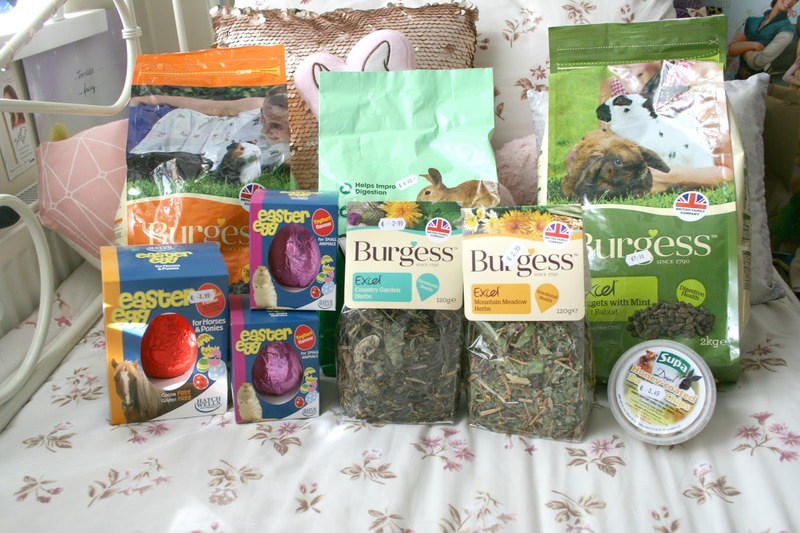 I decided to order everything from Pet Bliss online as they had the greatest choice for smaller animals that I could find located here in Ireland. My order arrived last Monday on my day off work and I swear it was like Christmas! The animals were running around the boxes and were getting so excited for each new thing I unpacked. I ended up documenting the day on Snapchat just because it was so funny how excited they were acting. When I laid everything onto my bed, like the picture above both Sheldon and Aurora started to bite, sniff and chew anything and everything they possibly could. Sheldon kept whistling with excitement and Aurora was running around in circles, it was honestly the funniest thing I ever witnessed and bare in mind this was all going on while I was trying to take photos! Starting with food I decided to pick up a bag of their nuts because well its a necessity really! 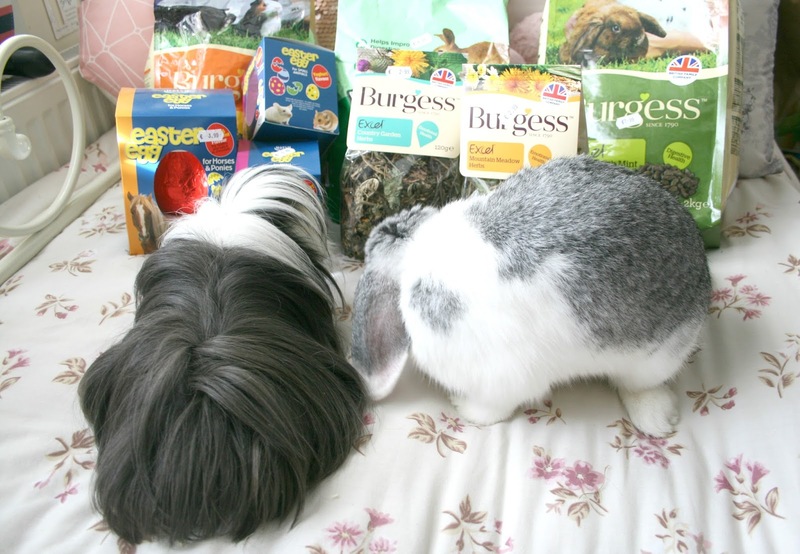 I really like the Burgess brand so I picked up the Nuggets with Mint for Sheldon and the same for Aurora only the ones for grown rabbits! Sheldon's bag of food costs €9.99 while Aurora's costs €7.99 which confuses me still to this day because they are basically the same thing only for a different animal. I also decided to pick up a bag of Wagg Bunny Brunch for Aurora as she goes through her nuggets much quicker than Sheldon. However Sheldon also eats these and I feed them to both as a treat more so than actual food and they both adore them. The Wagg Bunny Brunch cost €4.49 for a 2kg bag. 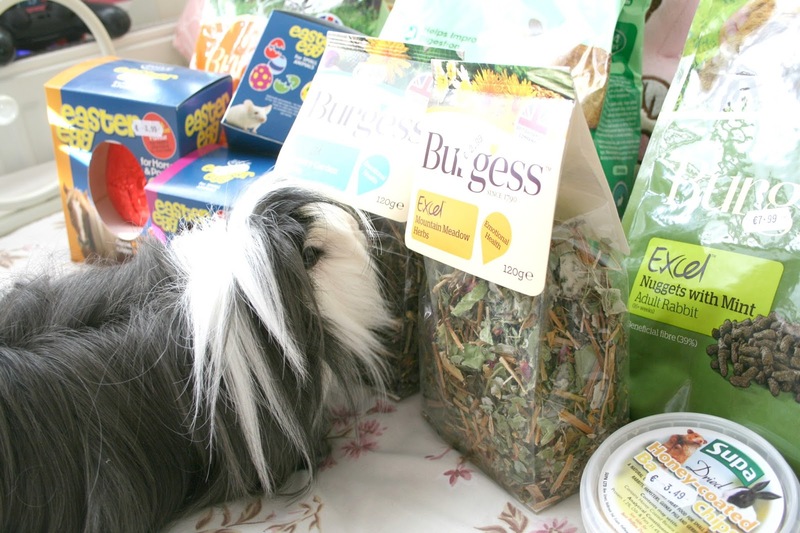 I picked up two bags of the Burgess Mountain and Garden Herbs Snack. They both go absolutely crazy for this stuff and my local pet store doesn't sell it so it really does be a treat as I only ever get it on special occasions when I order online. They go through this in minutes and one bag is pretty much gone, thats how much they adore it. It's basically grass, sticks, flowers, dandelions all the good stuff (if you're a small animal) really. These bags cost €2.99 each which I thought was quite cheap as I've often paid up to a fiver for just one from different pet store websites. I also picked up a little tub of Banana Chips which are dried up banana slices coated in honey. Aurora loves these and is forever sniffing for the tub looking for more. Sheldon on the other hand has no time for them at all and simply puts his nose up to them when I try to give him one. He's a really fussy eater though and tends to snub at most treats I buy. Aurora on the other hand loves treats and sweet things so I know when I buy things like this she's going to love them anyway. The little tub is stuffed to the brim with banana chips cost €3.49. 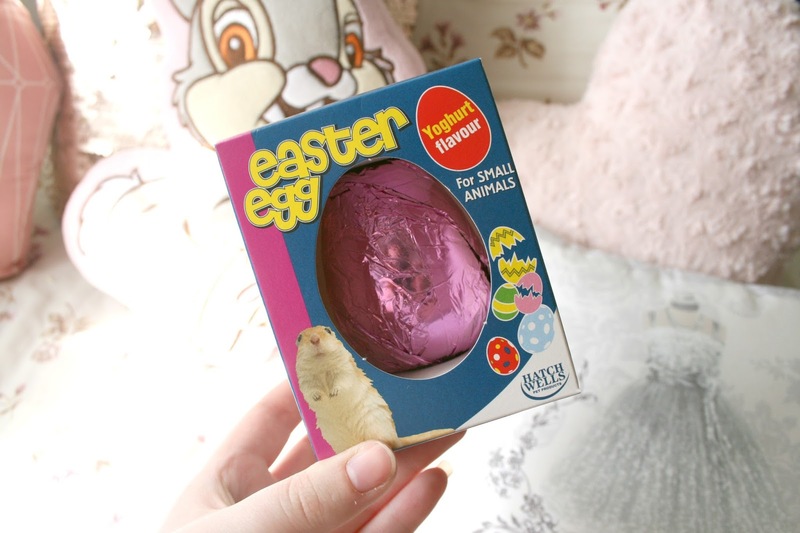 Finally treat wise, as Easter has just gone I decided to buy them Easter Eggs as who doesn't love easter eggs!? These are pet safe (obviously) and yogurt flavoured. 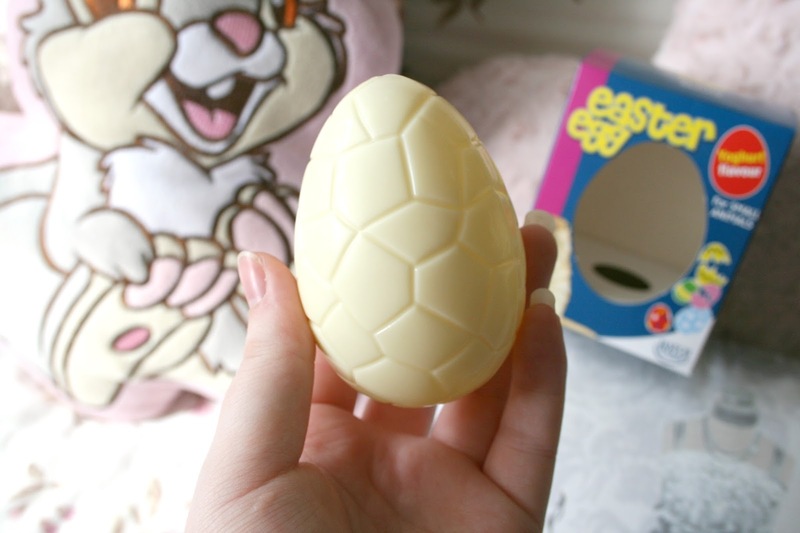 How cute is the egg though, it legit looks like a real easter egg and has the nestle design on it. I will admit I tried some as I was intrigued as to what it would taste like, honestly theres no flavour to it but its just really creamy. 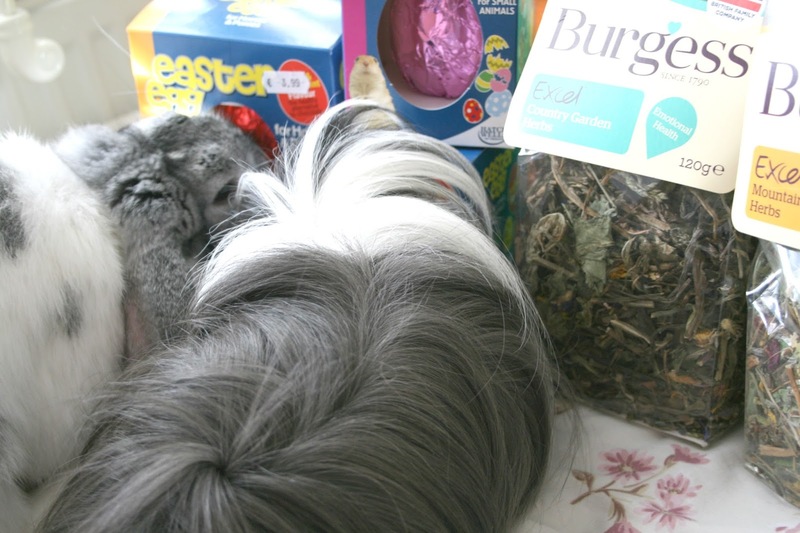 I picked up 2 of the Small Animal Easter Eggs one for each animal and then I also picked up an Easter Egg For Horses and Ponies because we do actually have a pony. I don't talk about her much as she is my Mums and I'm not really into horses but I was good and got one for Kate! The small animal eggs cost €3.49 each and the horse €3.99 which I thought were quite cheap. Plus they are just so adorable and you can bet I uploaded 10,000 different photos of them to my Facebook page! Finally and I think their most favourite present, their very own castle! 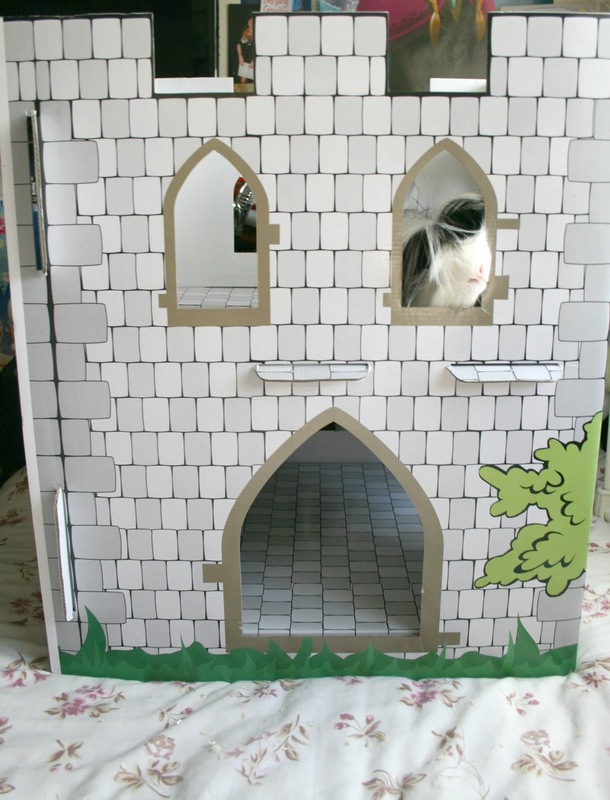 This is a cardboard castle that has two floors in it for them to both play in and to chew on to keep their teeth down (well Aurora no longer has teeth but she chews on it with her gums!). This is honestly one of the best things I ever got them because they just spend hours in it relaxing and playing and its the cutest thing to see. The castle itself is made of really thick cardboard and its slippery so if they do decide to pee to try and mark their territory its easy to clean. The castle was/is probably the hardest thing to photograph but I always have snapchats of them playing in it if you'd like to have a nosey (username - 'darlingjordan'). It's definitely their new favourite hideout as they've completely ignored their tents and tunnels since getting it. 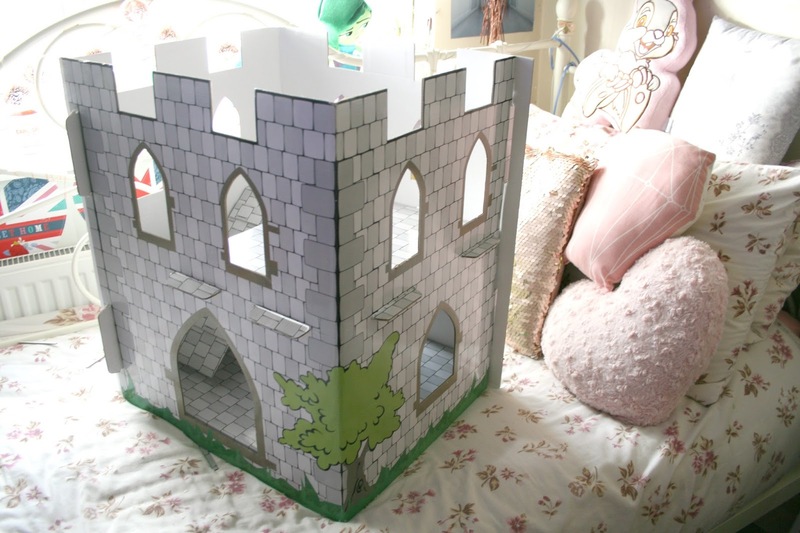 The castle was €15.99 and while you may think its a bit expensive for a piece of cardboard it honestly is totally worth it to see the fun they have in it! I want to say a HUGE thank you to Ocean Loans for helping me spoil my pets as it made me so happy to see how excited they got when I was unpacking everything. I know Sheldon and Aurora definitely appreciated it. 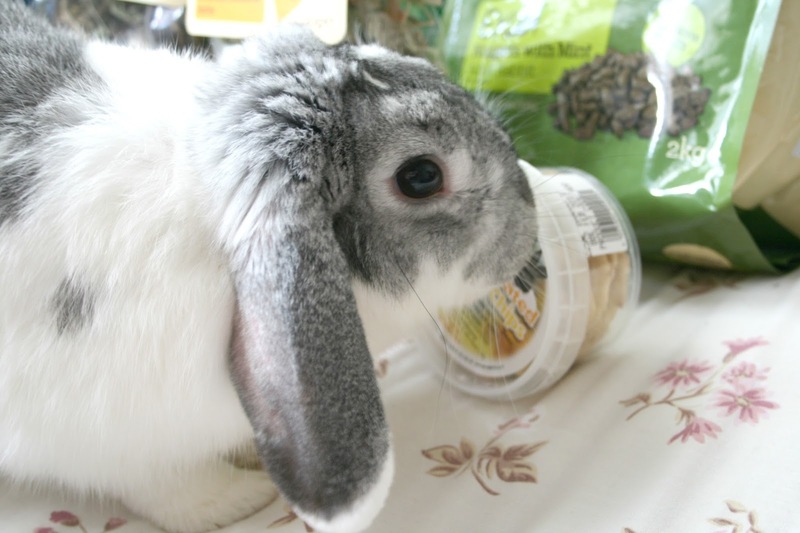 Are you planning on spoiling your pets for National Pet Month? 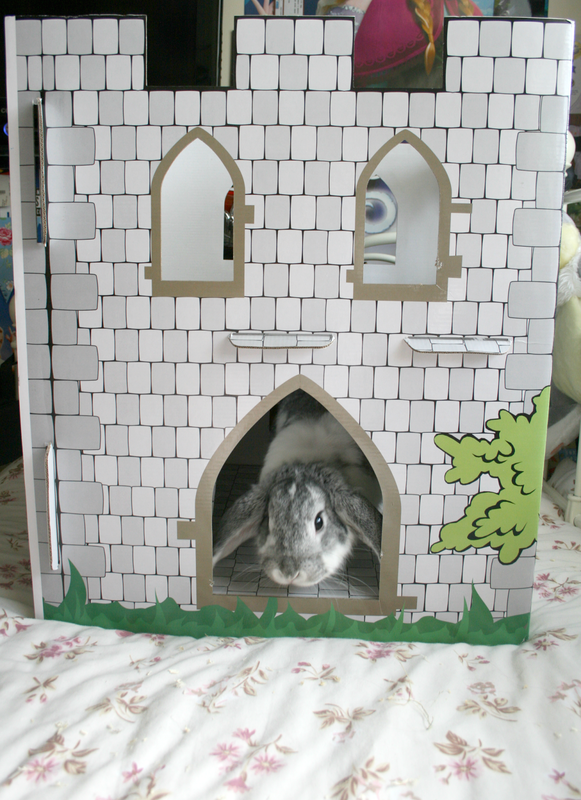 Ah the cardboard castle is so cute!! Such a cute post. I can't get over how cute your pets are, I want them! This is a lovely post. Lucky pets! 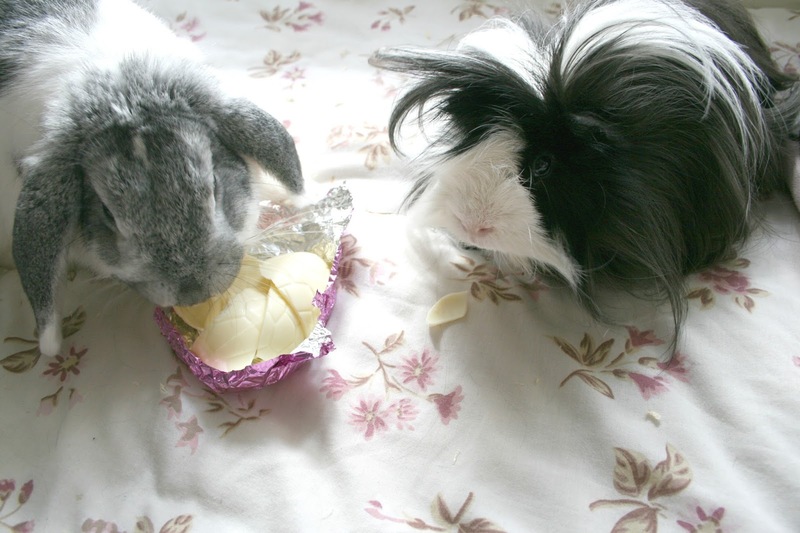 They are so adorable :) I'd love to get my bunnies an Easter Egg next year. That castle is awesome!